To stay really warm this winter there’s a chance that toggles alone just might not cut it. 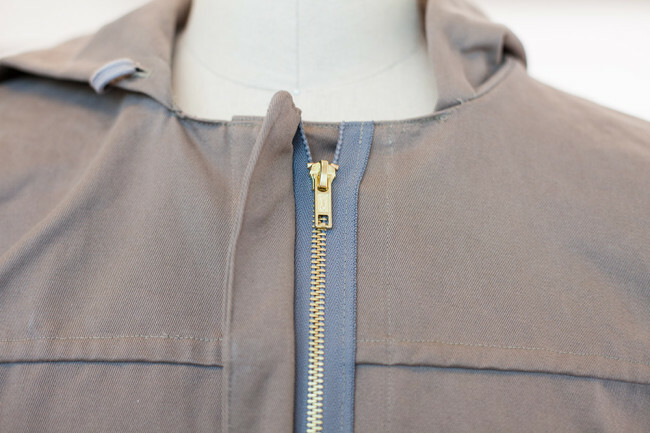 Try this simple method for installing a zipper for extra security. 1. Center the side of the zipper without the zipper pull on the left front of the jacket or coat shell. The teeth of the zipper should be 1 7/8” away from the center front. 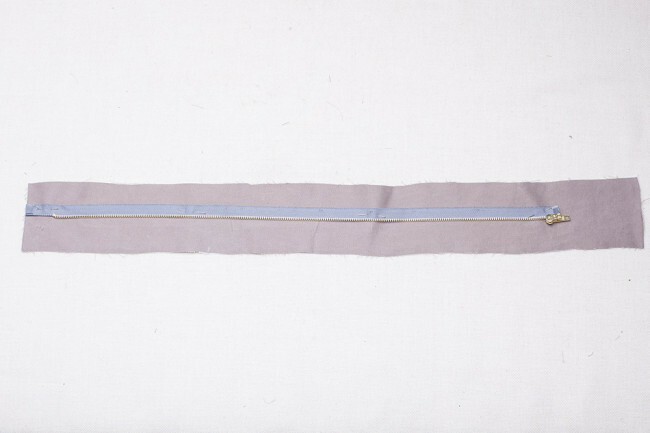 The top of the zipper tape should be flush with the neckline. 2. Center the side of the zipper with the zipper pull on your right side of the center front facing. The zipper pull should be facing down. The teeth of the zipper should be 1 5/8” away from the edge of the facing. 3. 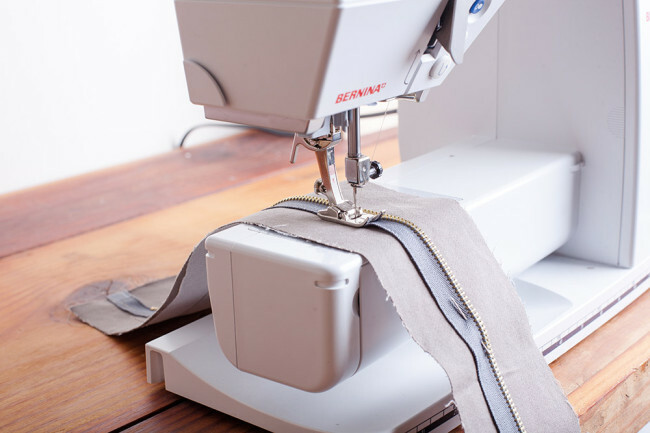 Stitch each half of the zipper down using a straight stitch, backstitching at each end. 4. Install the facings of the jacket or coat according to the pattern instructions. 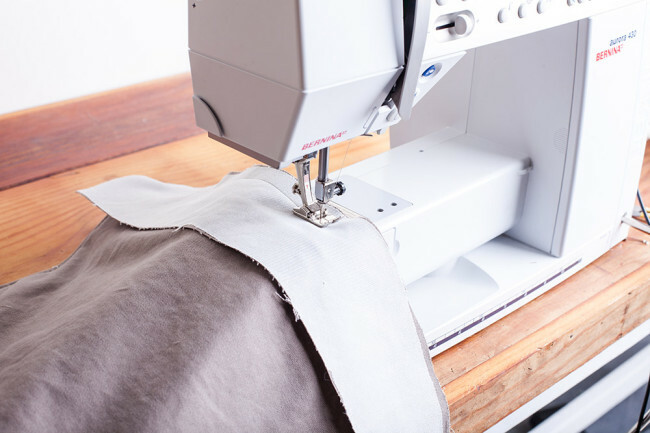 When you install the facing with the zipper attached you will want to make sure that the zipper teeth are facing toward the seam line of the center front facing and the jacket or coat front. Hi, sorry its very late to the party but I am wondering if you could give me some advice. 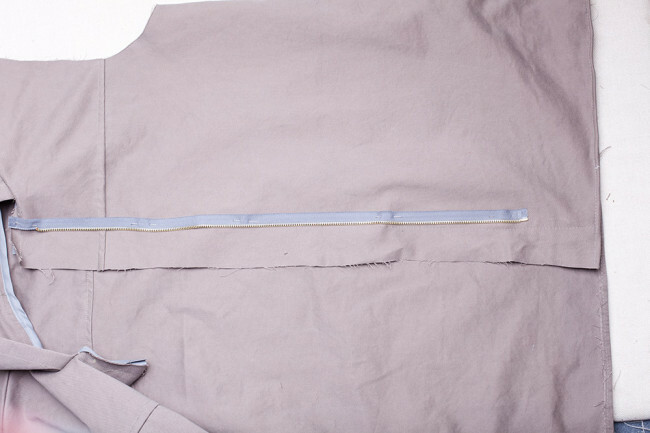 Does adding a zip like this so it is over lapped at the front make it tighter across the chest than simply usuing toggle or will it end up coming out pretty much the same? I’ve had a change of heart after a particularly windy day and decided a zip makes sense but it looks like there will not really but much wiggle room in the bust department for me. Hi Sophie. The zipper is applied to the top and the lap stays the same, so it shouldn’t make a difference in fit. Thank you so much! Looking forward to adding the finishing touches and getting to wear my winter coat in..er.. Spring.